Last week I posted a little survey over on the Facebook page asking what you’d like to see in today’s post. A whopping 19 of you replied!!! LOL! Back in August, I reconnected with a friend from college who wanted me to make invitations for her daughter’s birthday! This was my first ever custom order and the theme of the party was such a blast to use as inspiration. For her second birthday, Corinne and her friends decorated white canvas sneakers and in lieu of gifts, each guest donated a new pair of shoes that were later donated to a local charity! What a great idea, right? 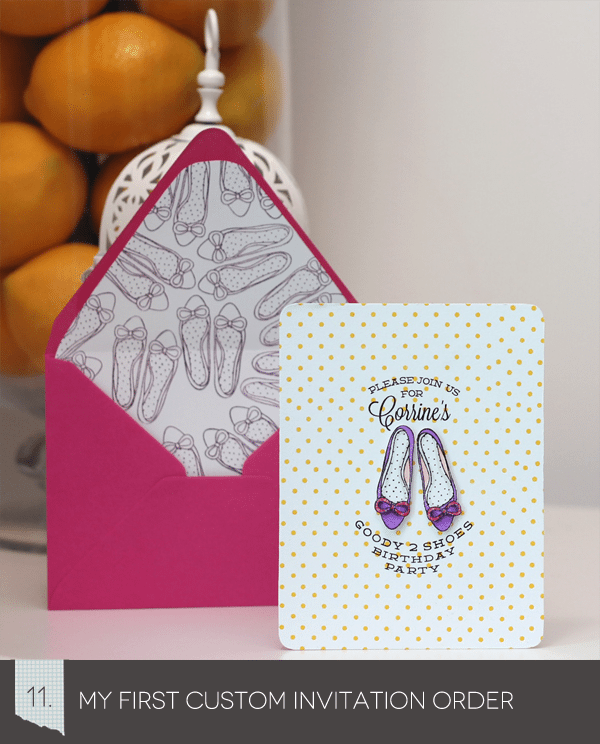 For the invitations, I used the Hero Arts Shoes set and custom design the details of the invitation. I was a great project, I really enjoyed every minute of making them! I was a real slacker this Christmas when it came to decorations. For Thanksgiving though, I was a decorating maniac! 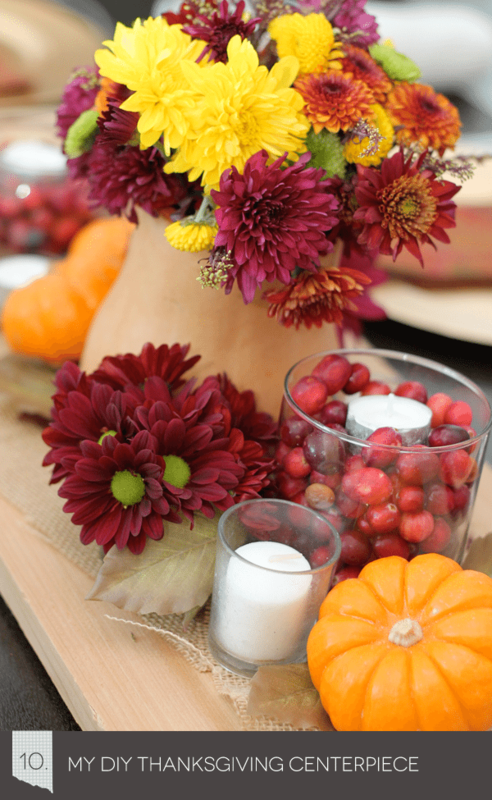 I was especially proud of this centerpiece that I created from a carved out butternut squash! Floral arrangement is NOT my forte, but I loved the way this centerpiece turned out and the best part…I used the insides of the squash for yummy soup! You probably remember this moment well. 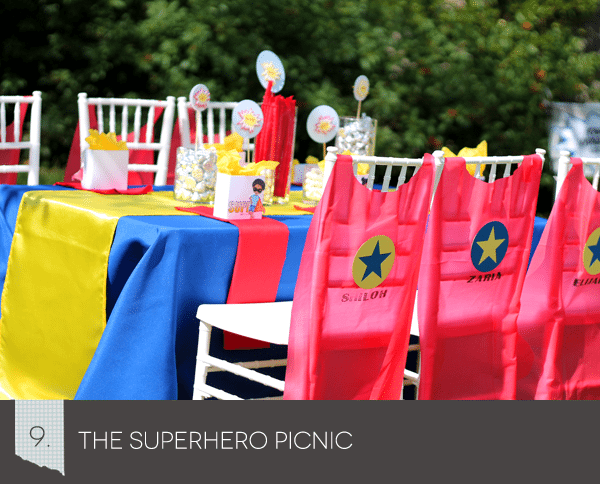 Weeks of planning and crafting went into the superhero picnic that I did with Clear & Simple Stamps, but it was worth every minute. You can check out the entire post HERE with lots more photos of the event. This superhero picnic was particularly momentous, since it was my first attempt at planning and executing a children’s party. 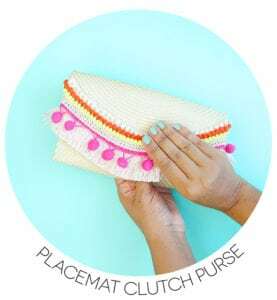 There are certainly some things that I botched, but all in all, I was happy with the results and proud of the accomplishment! Seriously. 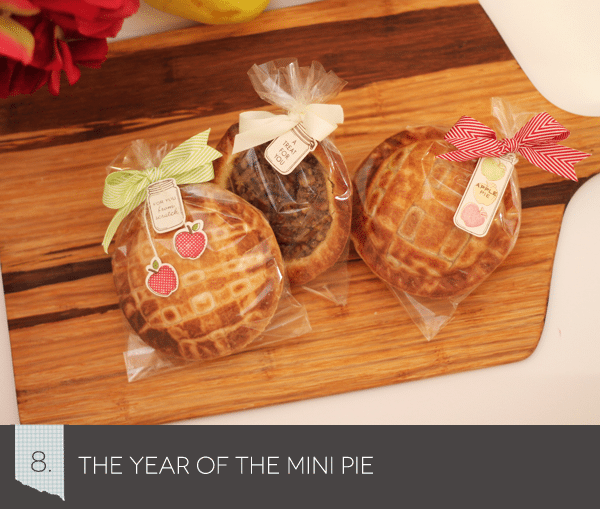 I think I ate at least 20 mini-pies in 2012. No joke. For our wedding, my friend gave us a Breville Pie Maker and I used that thing more times that I care to admit! I baked a slew of mini pies for my Autumn Apple Soiree and for Thanksgiving, we had a mini pie making dessert station that was a hit! Moral of the story? You probably need to get a mini pie maker. Stat. By now you may be noticing a theme. Food. Lots of my favorite moments have to do with food. What can I say. I love the stuff. This cake from my bridal shower was straight up awesome for so many reasons. First, it was the best cake I ate for the entirety of 2012. No lie. It was that good. To top it off, my mother-in-law ordered the cake for me and had it designed to look like one of my cards!!! I know. Too cool, right? Check out the original HERE. Alrightly, enough with the food…now let’s do a little travel! Just last month, the hubs and I went to Arizona and drove up to the Grand Canyon because I’d never been. 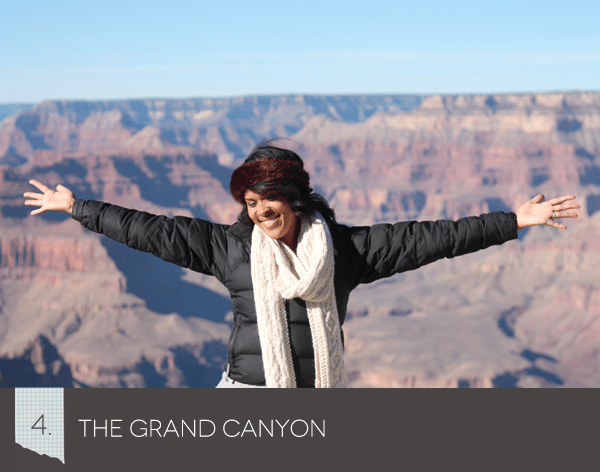 The Grand Canyon is pretty awesome and the drive was beautiful… all those cactuses!!! Our trip was so fun and relaxing. I even convinced Andrew to attend a seminar on how the Grand Canyon was formed. I’m a nerd like that. Another highlight of the trip? It was cold enough to break out my cable knit scarf and fur headband. Fashion in the Canyon is a must. 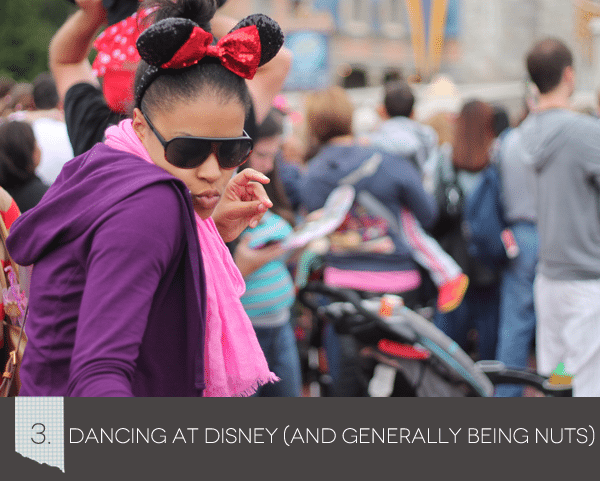 2012 also marked my first trip to Magic Kingdom in Orlando and if the photo doesn’t prove it – I had a ball. Way more fun than any of the kids or parents who were there. It helped that I went with two friends who are equally as crazy as I am. We danced down Main Street and struck up witty conversation with the princesses. It was some of the best sort of fun I’ve had…ever. Coming up in the two spot is our wedding – the best wedding ever if you ask me, but I guess I’m biased. Everything about our wedding was exactly what we wanted. Contemporary, non-traditional and fun. To top off the great time we had on our wedding day, we got to relive it all again when Style Me Pretty featured it on their blog! Check it out HERE. So, I sorta felt bad that our wedding day came in second…but I’ve gotta be honest. 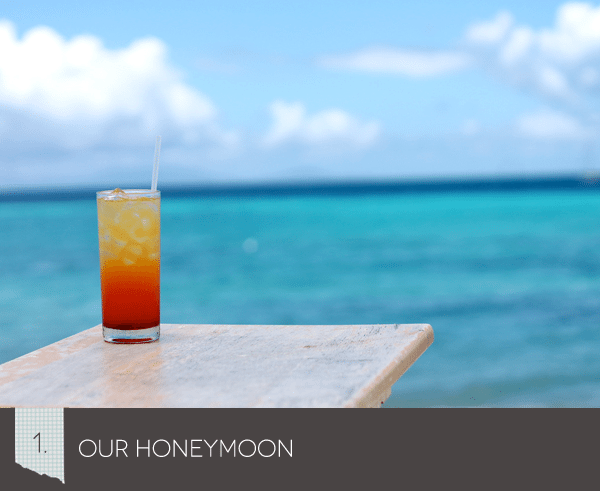 Don’t get me wrong, the wedding was great – but the honeymoon was the best. After months of planning a wedding our weeklong vacay to Antigua was just what we needed. We spent the week sipping colorful drinks and lounging on the beach. Perfection. We had no schedule. We had nowhere to be. We just hung out and stared into the crystal blue ocean. While there, we found one beach that ended up being our favorite. We went everyday and chummed it up with the locals. To this day, I’m trying to convince Andrew that we need to buy a townhouse on the island. I would go back in a heartbeat. So there it is, my favorite moments of 2012. This year has been good to me. There are many other moments that aren’t on the list – one of which being the relaunch of Damask Love. I feel blessed to have a “job” doing what I love. 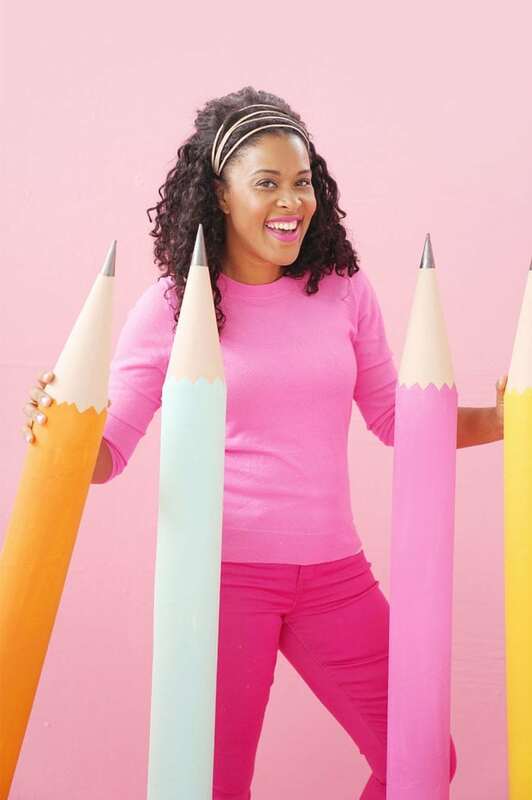 I love sharing my life and passion for creativity with you and I appreciate your support! How about we make 2013 an even better year?! I’ll be back later this week with a candid post about some of my goals for 2013! Until then, I’d love to hear about some of your favorite moments of this year! Tell me all about em! 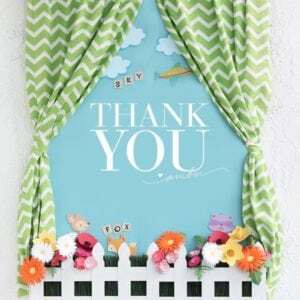 Cricut Design Space: Thank YOU! What a great year! I loved seeing all your fun adventures in one spot! 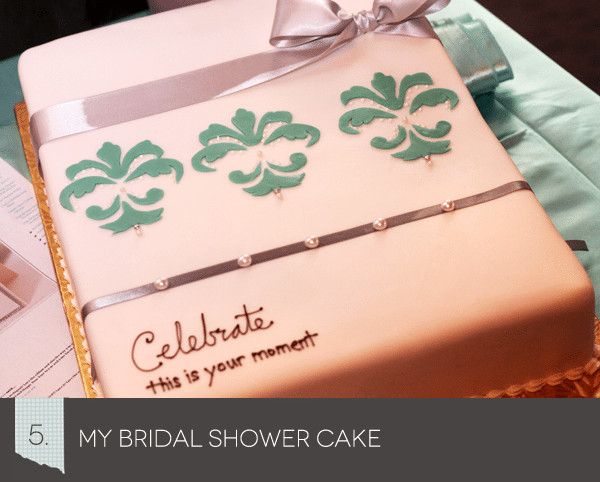 That bridal shower cake is amazing and it may just be one of the sweetest things I’ve ever seen. Happy 2013 to you, and I can’t wait to see what you have in store! Can you say awesome, memorable, fantastic and, my favorite, WOW! Who knew you had that great singing voice and gorgeous figure? Between that & your immeasurable talent, you’re quite a catch, Andrew is a lucky man. This is an AWESOME post… I love that it isn’t totally paper related, and that you explained each one. And I can’t believe that was your first Disney trip! I soooo wish I was going to CHA so that I could go with all of you! Your wedding being one of them – anyone I could pin down for a few minutes got subjected to “drooling” along side me. HAPPY NEW YEAR!! I’m forwarding the link to that pie maker over to my son and daughter-in-law — it looks like something they would have a lot of fun with! Wow! I’m impressed with all you accomplished in 2012! I agree with your #1 choice. Our wedding was sweet, but the honeymoon was unforgettable!! The hubs and I still relive it almost 10 years later! Wow…your weddng was amazing! Nothing could top that! Except an amazing honeymoon. Happy New Year!! My favorite moment of 2012 was my trip to greece with my cousin. Soooo much fun. Just the girls, a memory that will last a lifetime. Couldn’t have wished for anything better. Looking forward to 2013 and what it has to bring! 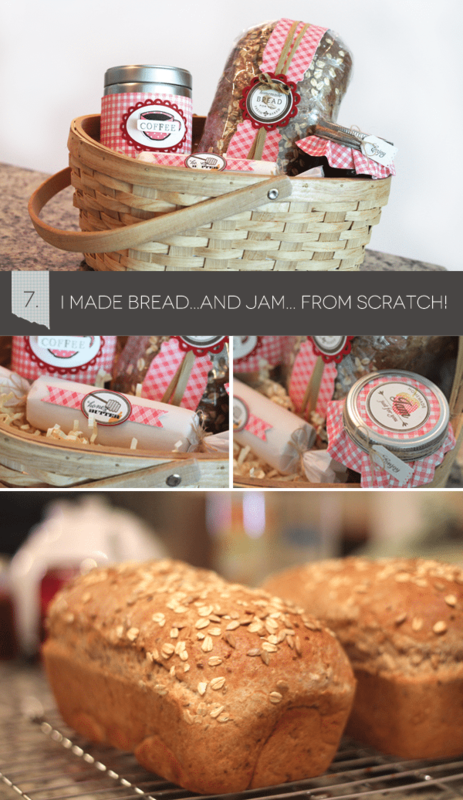 Love you blog update…one of my favorite things from 2013. Have enjoyed watching it bloom. *cheers* Happy New Year. Thanks for sharing that with us. Your wedding looked so elegant in that venue! Fantastic photos of your wonderful day. I enjoyed this post very much, thanks for sharing your favourites. I had a wonderful year too, I think my favourite is a Mission trip I mde to Honduras. Have a blessed new year. 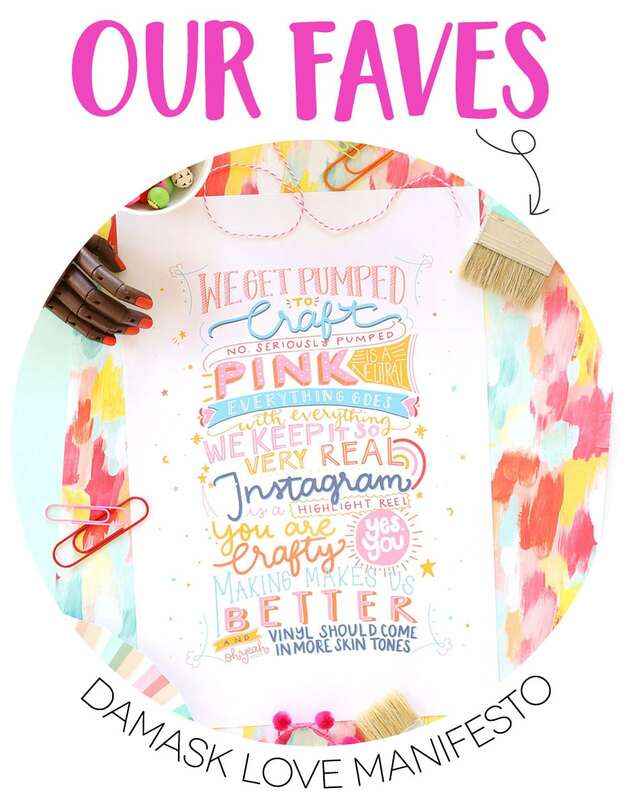 Thank you for sharing highlights from you amazing blog life with us. I enjoy Damask Love and look forward to another year of elegant creativity. My most memorable moments of 2012 have to be the minutes leading up to the passing of my mom. I know I know, it’s not the cheerest experience to make the favorite list, but I will forever cherish those last minutes share between the two of us before my best friend slipped away into eternity. What a great year it has been! Thank you for sharing, it is really nice to see so much beauty in one post. And I must say you were just amazingly beautiful bride! I wish you happy, healthy and crafty year 2013! Now I’ve looked through the post of Style me pretty (my second favorite blog, since I also got married in 2012). Your wedding was so different from mine, but I loved it! You are truly a catch! 🙂 I just can’t believe your incredible voice, it gave me goosebumps!